If you’re familiar with Pad Thai Noodles, a dish of stir-fried rice noodles, here’s a version done with duck. Remember we still had the duck bones leftover from making seared duck breasts, duck leg confit and rendered duck fat? Here’s what you can do with the duck bones. First you need to get the stock. This means cooking the bones in a bit of (duck) oil and the necessary spices (salt, crushed peppercorns, ginger, Chinese Five Spice powder, star anise, sugar, bay leaf, garlic, etc) until well browned, then deglazing that with water. The rich brown stock is duck sauce which you’ll use for soupy dishes as well as for sauce. Duck stock can be used for noodle soup. But this time, I decided to use some of it as sauce for Pad Thai Noodles. 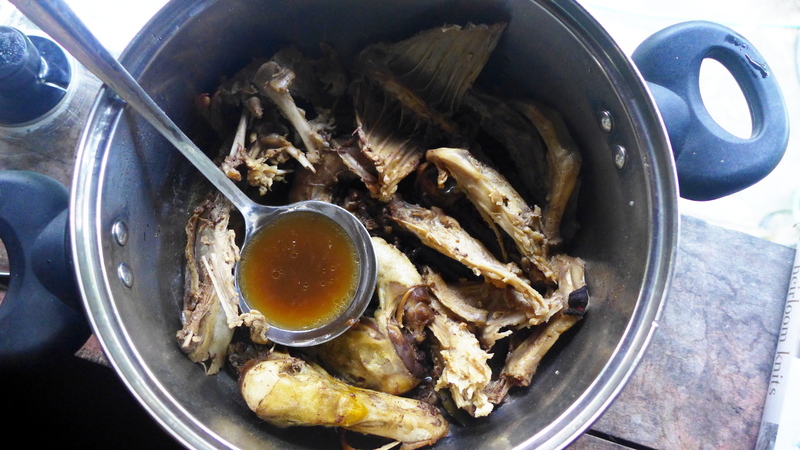 But before doing that, the meat needs to be collected from the duck bones. 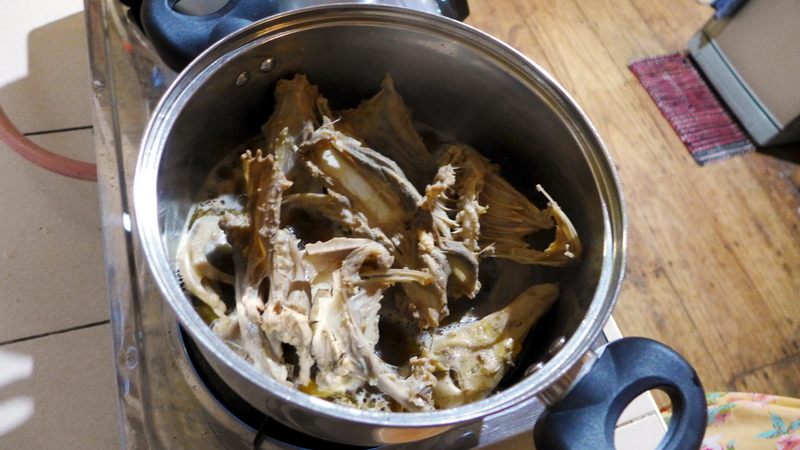 This is very easy to do because the bones have been cooked and the meat easily falls off the bones. So, as you can see, a whole duck can be used entirely (wait till we get something cooking wit the duck liver!) ? Cooking the duck bones. You need to brown these before adding water. This way you deglaze the pot with the water and get the good stuff. Rich delicious brown duck stock. 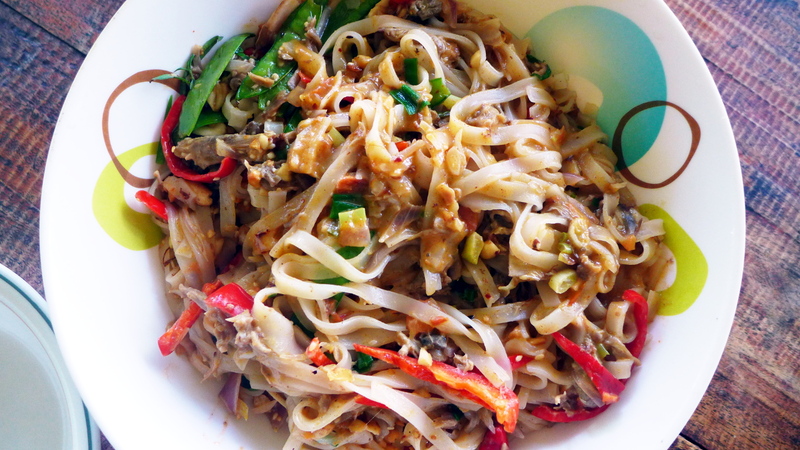 Pad Thai Noodles made delicious with duck stock and shredded duck meat.